Will iOS 10 be jailbreakable? Will there be an untether iOS 10 jailbreak? Pangu and TaiG not covering the iOS 9.3.3 jailbreak doesn't mean that iOS jailbreak is going to get dried up. As soon as Apple releases iOS 10 download, those devoted jailbreakers will get fully loaded and shoot the jail wall open. 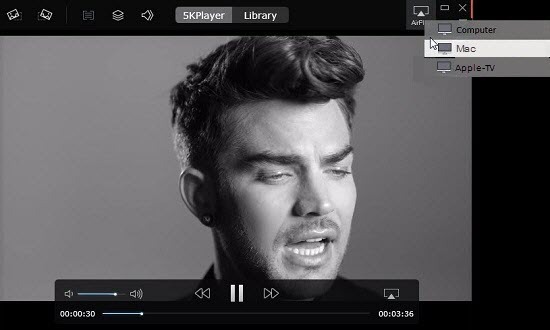 To AirPlay jailbroken iOS 10 iPhone 7, iPad pro and other iOS 10 devices, 5KPlayer is your best choice to stream 4K visuals and 5.1 sound to bigger screen and better speakers free! Free donwload and try it now! However, for those iOS 10 jailbreak lovers, the rumor about Apple's new "rootless" security system would be a great nightmare. iOS 10 update will give you features like split screen on the iPad, voice assistant Siri, optimized power consumption, further reduction in occupied space in device memory, but will at the same time bring you unwanted strengthened security against iOS 10 jailbreak. It is believed that iOS 10 would be unprecedentedly difficult to jailbreak due to this Rootless system, because this system "is aimed at preventing even administrator-level users from gaining access to certain file systems on an iPhone, iPad or Mac - though it's believed that it can be disabled on the company's desktop OS… Apple has been plugging holes in iOS for years, holes that jailbreakers have historically used to gain access to parts of the system that they would normally not be able to interact with. It's this opening up of iOS at a fundamental level that is likely to be thwarted by Apple's 'Rootless' technology, leaving jailbreakers very much at the beginning of what could be a long and difficult journey." Thus, this time, it might take our pioneer jailbreakers like Pangu & TaiG a great deal of time and engergy to attack the well-built defense down and us jailbreak lovers a whole lot of patience for the iOS 10 jailbreak wait. Before iOS 10 jailbreak, please do reconfirm that you are aware of the possible risks you might have to deal with. 2. Stability – After iOS 10 jailbreaking, many forbidden processes and functions will be activated and affect the stability of the system, leading to program crash or reboot. 3. Battery Consumption –the application of TPPS will definitely boost battery consumption and sometimes causing fever to devices. Then how to jailbreak iOS 10? Pangu (well-known for iOS 9 jailbreak) and TaiG (wel-known for iOS 8 jailbreak) may hold the keys. Before jailbreak, do remember to make a full backup of all your data. 4. Pangu Jailbreak will detect your iOS 10 device and emerge "Jailbreak notice" message. Follow the instructions ensue. 7. "Jailbreak complete" message will show up when the process is done. Open the Cydia on your iPhone to view the Cydia setup screen. Now you have completed the Jailbreak process and you can download your preferred iOS 10 jailbreak tweaks. Before jailbreaking, it is important to secure your data. You may want to use iCloud or iTunes to take a full backup of your iOS device. 3. After downloading the TaiG jailbreak, lauch it on your Mac/Windows PC. 4. Open the TaiG jailbreak tool. For Windows users, right click on the TaiG tool icon and select Run as Administrator. 5. Now disable the Touch ID, Passcode, and Find My iPhone in your iOS device and enable the Airplane mode as required. 6. Connect the iOS device to the computer. 7. The TaiG iOS 10 jailbreak tool will automatically detect the iOS device, then click on the Startbutton. 8. The jailbreak process will start in a minute. Do not click or tap on your computer or the iOS device during the iOS 10 jailbreak process until it is done. 9. After the iOS 10 jailbreak process completes, the iOS device will automatically reboot showing the Cydia icon on the Home screen. 10. Tap the Cydia icon open and follow the onscreen instructions to set up Cydia. Then you are free to download your favourite iOS 10 jailbreak tweaks. Step 1: Download and launch the iOS 10 AirPlay-capable 5KPlayer accordingly on Mac/PC. Note: To achieve iOS 10 AirPlay to Mac/PC, make sure to connect your iOS 10 devices –iPhone 7/iPad pro/iPod etc and your Windows/Mac computer the same Wi-Fi network. Step 2: Go to the Control Center on the display of your iOS 10 devices and find AirPlay. 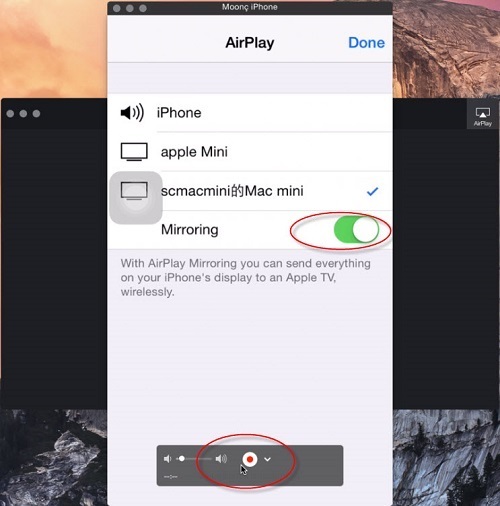 Note: Tap AirPlay to view a list of AirPlay receiver options. Select your Windows PC/Mac as AirPlay receiver. Step 3: Choose the videos or music you want to play on your iOS 10 device, then the iOS 10 will start AirPlay to your Windows/Mac. Step 4: Enable Mirroring, and your iOS 10 iPhone/iPad screen will show up on the computer screen. Note: You can record your iOS 10 iPhone/iPad screen by clicking the recording button below. Side note: Remember, iOS 10 AirPlay only supports video formats in MP4, MOV, M4V, make sure that you get a professional converter to help with the format conversion.